I love how BOLD the florals are in this styled shoot by Rachael Ann's Event Design! 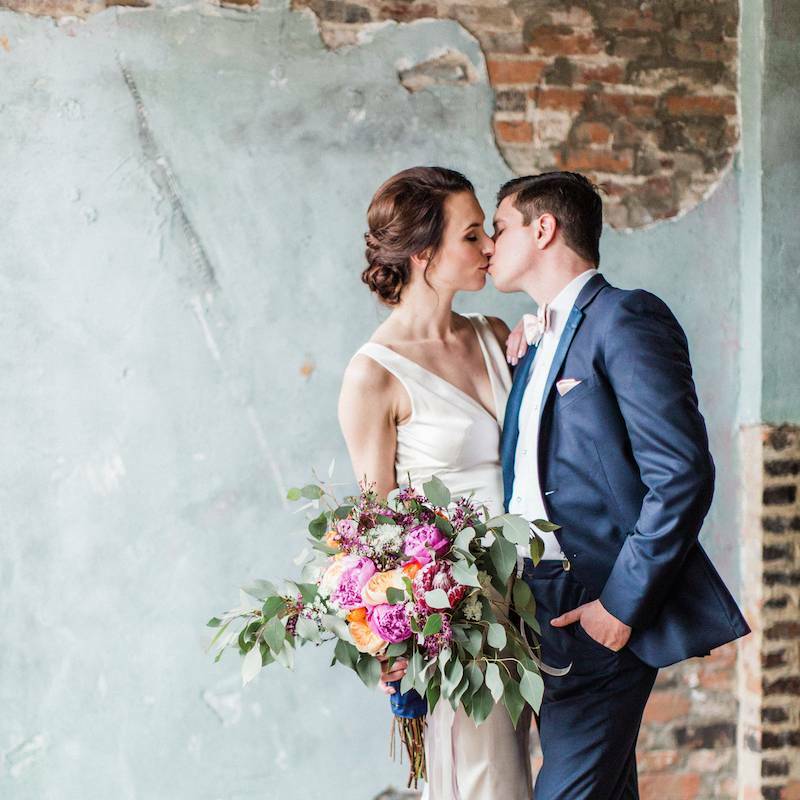 Plus, with the industrial backdrop of Houston Station, the modern elegance was a great fit for this smokin' hot couple! 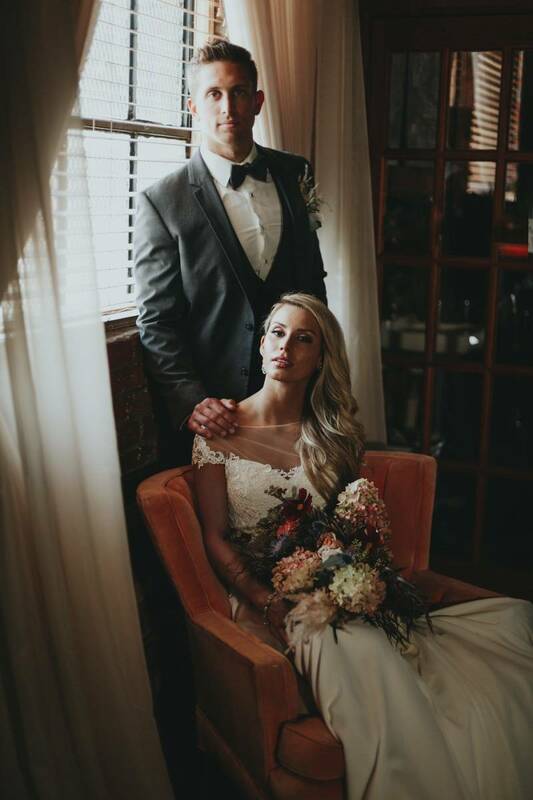 Elopements are SO in and this styled shoot covered this trend to the fullest! 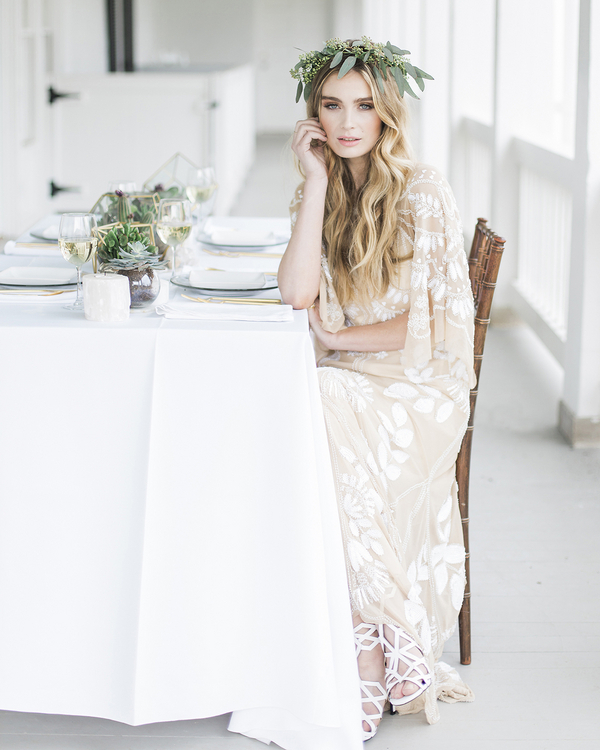 Boho style complete with a stunning model make for the perfect recipe for a styled shoot. This one in particular has a more simplistic take on the boho trend playing with neutrals and adding in only the most needed details. The greenery and opaque invitation suite are just two of the elements that make me swoon over this styled shoot at Ravenswood Mansion! I'm all about an off-beat wedding and when Southern Sparkle Weddings dressed their bride model in a black wedding dress, it definitely caught my attention! Every black detail was purposeful and perfectly placed. Plus, this "couple" gave all the dark romance off from their chemistry to their rock 'n roll vibe. This styled shoot captures all the whimsy in a wedding day! 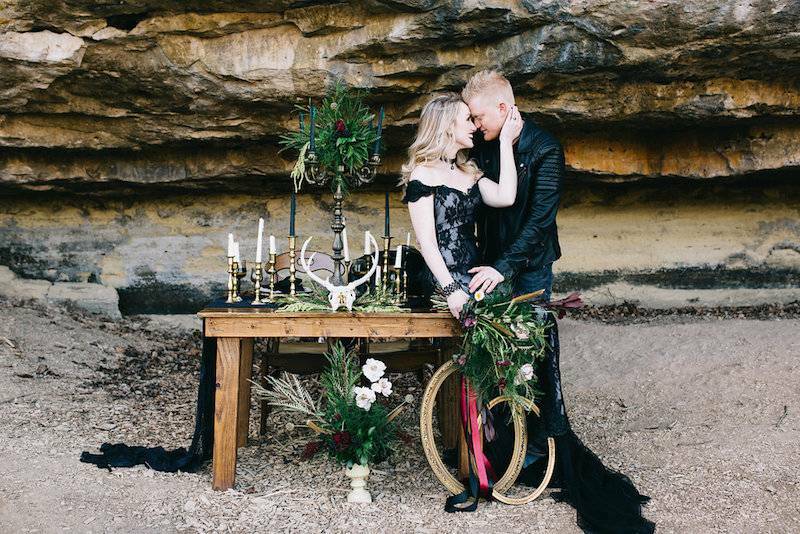 With the bride twirling and swirling in her dress in the forest to the creekside elopement, this styled shoot is one of the most ethereal I've seen. Plus, The Ganeys added in some fun travel-inspired elements like a globe and handwritten travel phrases. The shoot is traditionally shot on film, but the details create an untraditional vibe such as the bride's purple dress and elopement setting. You can't take classic out of the south! 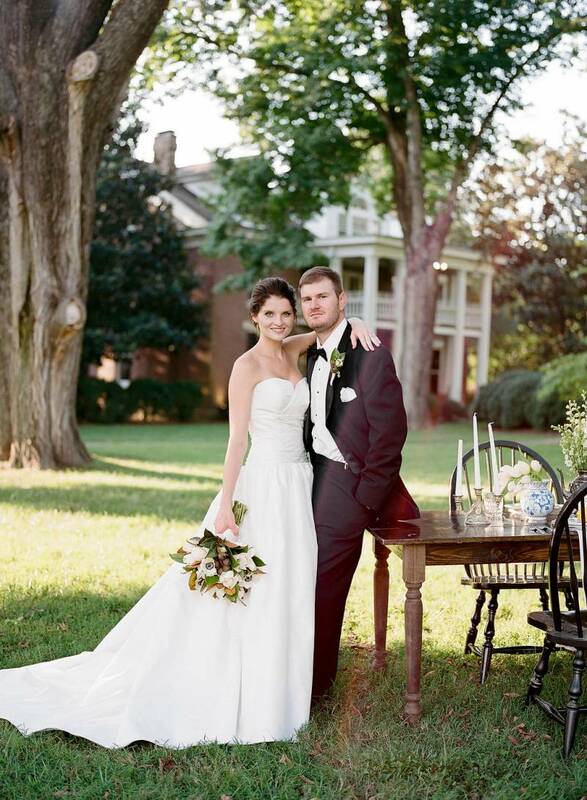 And this shoot by Jenna Henderson really captures the essence of the south through the Colonial era. With very traditional blue vintage china place settings to the bride's classic style gown, Jenna + Adriel Nutter created a scene at Homestead Manor as if it were taken straight out of the history books. Impressive styling, modeling and photography all around! 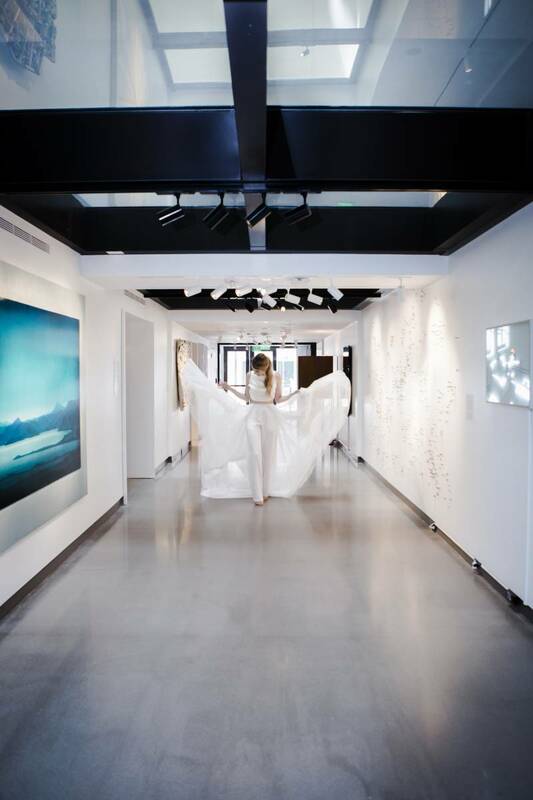 Oh how I love a wedding that is out of the box! 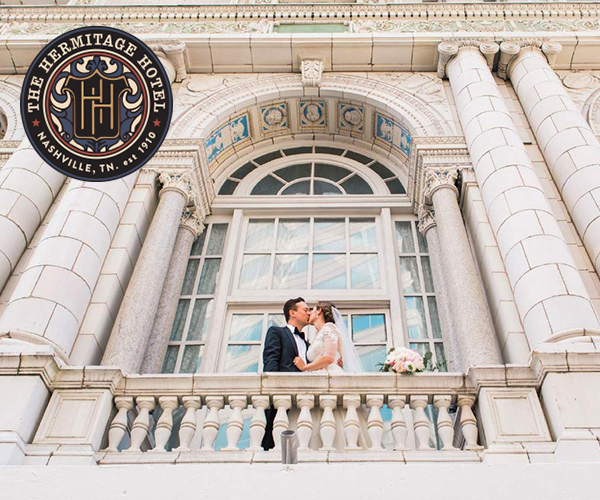 And what I love most about this styled shoot from The Gifford Collective is that it captures the essence of the artist community here in Nashville! 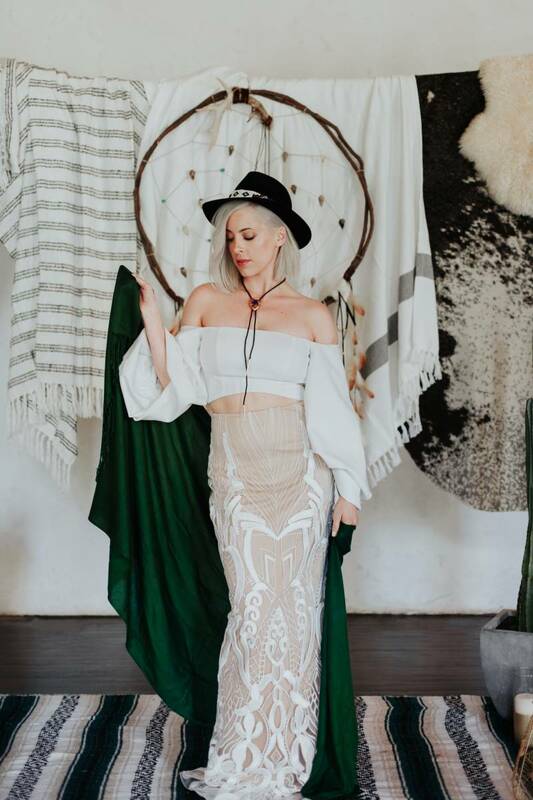 Think East Nashville meets the Southwest... this hipster couple is styled to break all tradition. With a bolero instead of a veil, bare feet instead of freshly shined shoes and 1970s details throughout, this shoot was all about kissing tradition goodbye! BONUS! 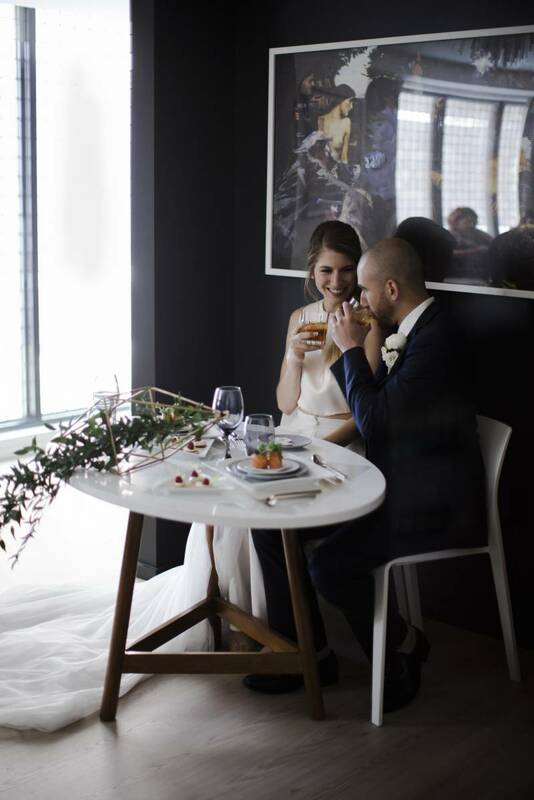 I also had fun styling shoots like our Modern, Artsy 21c Hotel Styled Shoot with Abigail Volkmann Photography + Fanciful Ink! Part 1 + Part 2. Thanks to everyone who worked so hard on styled shoots this year! They are so fun to feature and I look forward to seeing all of the creative ideas you come up with in 2018!